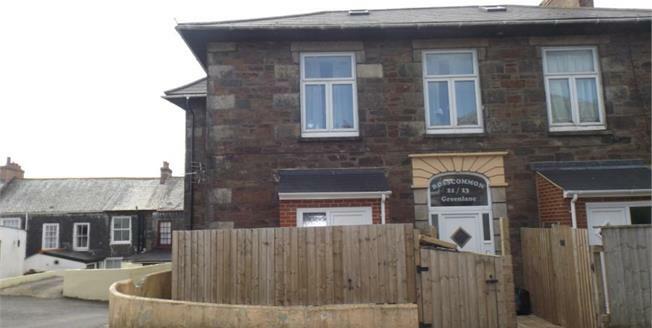 An opportunity to acquire a newly refurbished and renovated ground floor property with open plan living and kitchen accommodation and shower room. The property is finished to an extremely high standard. There is an enclosed courtyard housing an outhouse with plumbing for a washing machine. Double glazed front door into the open plan livign and kitchen. Wall and base units and work surfaces with circular sink unit. Built in oven and hob with hood above. Wall panel heater. Door to Bedroom. Folding door to shower room. Fitted with a shower cubicle. Wash hand basin and close coupled w.c. Extractor fan. Double glazed window to side. Gate leading to courtyard. Paved area with storage with plumbing for a washing machine.